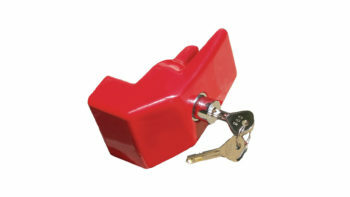 Cast Steel Alloy Lock Covers The King Pin To Prevent Unauthorized Hook Ups. 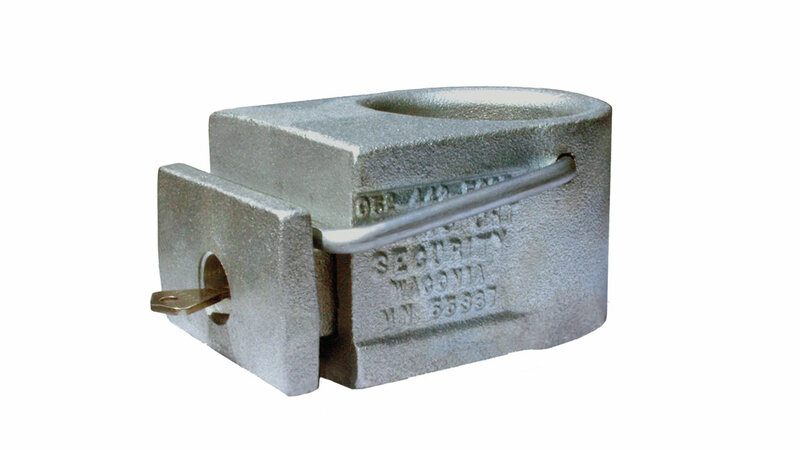 The solid steel alloy casting coupled with the ABLOY® high security locking cylinder make the ENFORCER® king pin lock not something thieves want to see installed. Some very serious tools and too much time would required to remove it. The lock may be keyed alike, differently or to a master system matching additional ENFORCER locks you have or may want to add to your system. 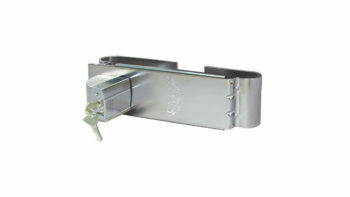 Handy carrying handle prevents accidental locking when stored in ready to use position.